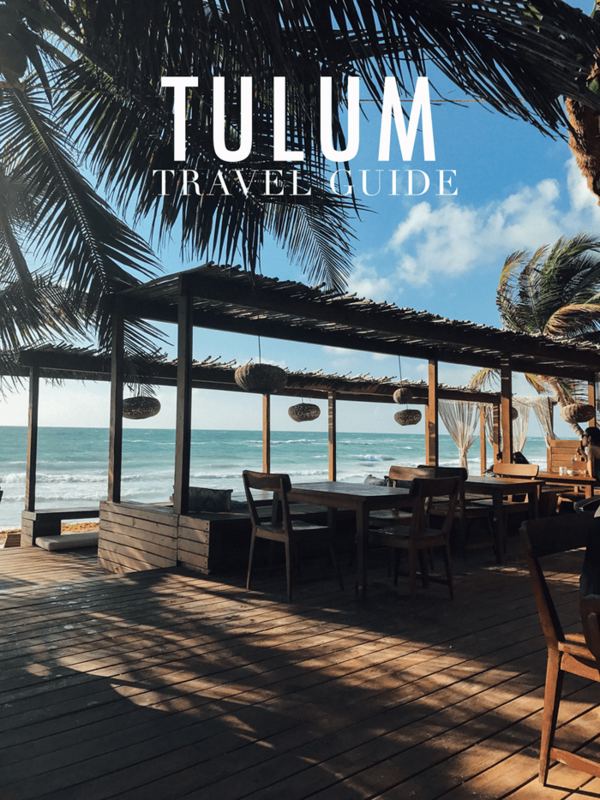 Tulum Travel Guide with where to stay, eat and play while visiting the beautiful Tulum, Mexico. Enjoy the white sandy beaches, Mayan culture and delicious food. 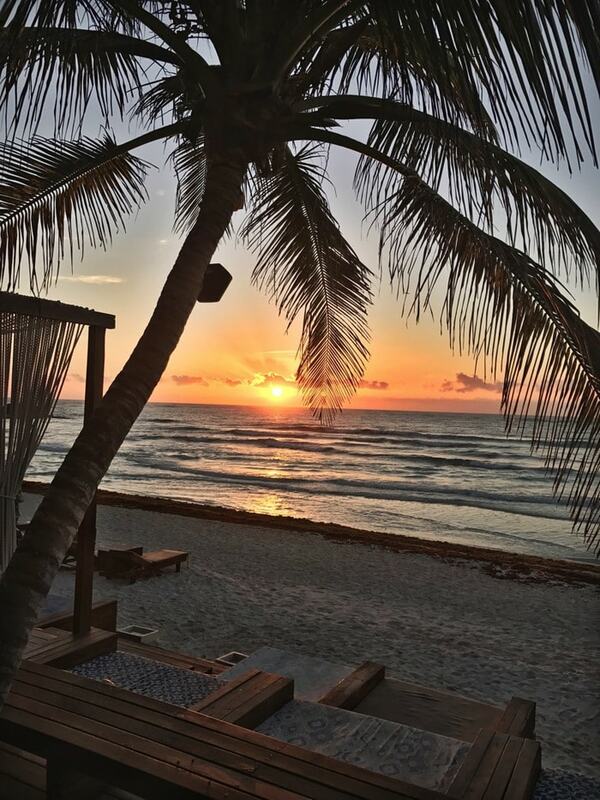 I’m not sure where to even begin with this post but I’ll start with the fact that Tulum is incredible… providing beautiful white sandy beaches, turquoise blue ocean waves and stunning sunrises. 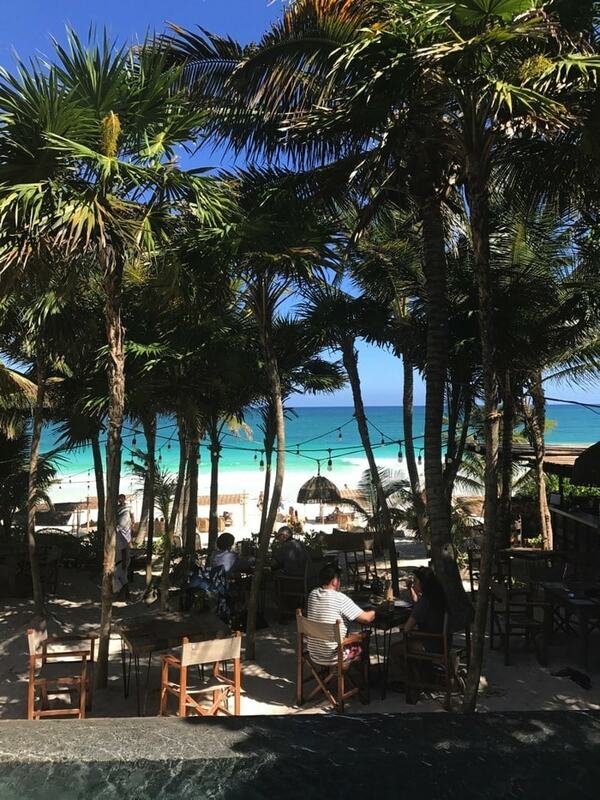 The historic Mayan culture gives Tulum this spiritual energy that’s easy to embrace and as a whole Tulum offers a relaxed, rustic chic, hippie vibe, that’s very different than other popular areas of Mexico I’ve visited previously (namely Cancun and Puerto Vallarta). This trip to Tulum was planned with one of my best friends, Laurel. 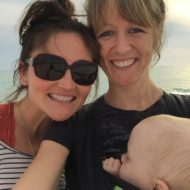 She and I have had many adventures together (like this creepy hotel stay) and sometime last year we decided that our next escapade needed to be a yoga retreat. Throughout the planning process we considered a laundry list of different retreats, but ultimately ended up heading to Tulum for a few reasons — the two biggest being timing and cost. We knew we wanted to go in February or March to escape cold weather, the flight to Cancun wasn’t too expensive and this particular yoga retreat was one of the most reasonable offerings we found. The retreat was hosted by Lauren and Adrian of The Yoga Dojo, a local studio here in Richmond, so the first five days of our trip were spent with the retreat group, doing yoga twice a day with a few planned activities and meals provided by the resort. It was absolutely lovely and totally renewed my love for yoga and meditation. My practice has grown in ways I couldn’t imagine. I’ve been attending classes regularly since I’ve been back and I’m already planning my next retreat. 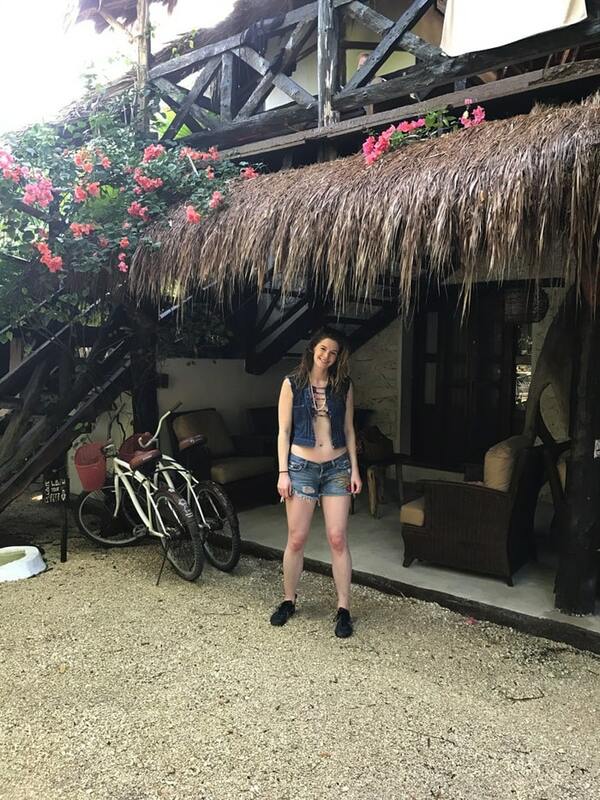 Friday was the last day of the retreat but Laurel and I decided to extend our stay, which was the best decision because we were able to do some additional exploring, try different restaurants and even spend a night in the city-center of Tulum. 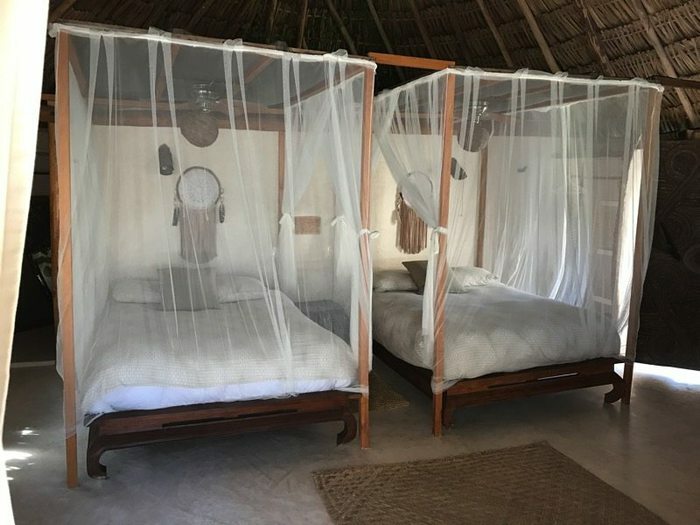 Rather than share a play-by-play recap of the trip, I put together this guide on where we stayed, ate and played while visiting Tulum. I hope it’s helpful. 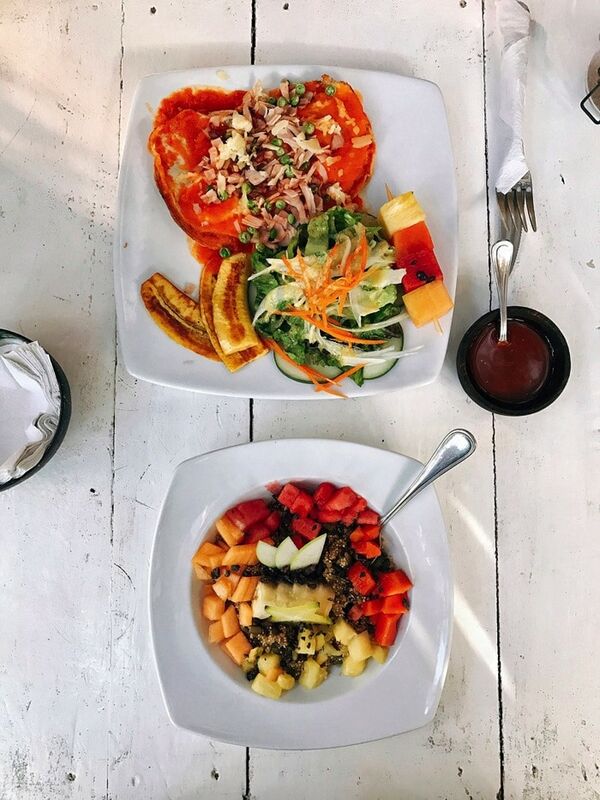 I was naturally excited to try the food in Tulum and I’m happy to report that it was incredibly easy to eat healthy because almost all of the restaurants focus on natural, local and seasonal fare. Plus there were plenty of options for specific dietary preferences, especially vegetarian, vegan and gluten-free options. Restaurare — A vegan spot with a focus on local flavors. It’s nestled on the jungle side of the main beach road across from Amansala Chica. Follow the stone path back to the dining area lit with flickering lanterns. Laurel and I went for an early evening snack one day and ended up with the coconut ceviche with sweet potato chips. The ceviche was obviously fish-free, made with coconut meat and absolutely delicious. We also tried two of the juices; one with watermelon, ginger and peppermint and the second one with tamarind, ginger and habanero. So good! Oh, and the cacao brownie is amazing too! Word to the wise: they do provide a natural bug repellent, but I highly recommend wearing/bringing your own. This is one of the only spots we got mosquito bites. 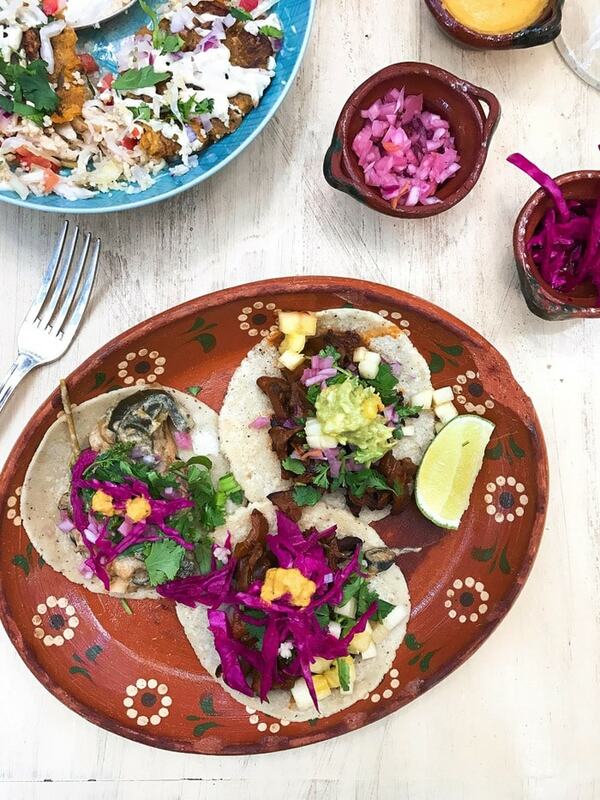 Charly’s Vegan Tacos — Right next to Papaya Playa, this is the spot for vegan tacos. They’re served from a food truck, but there’s plenty of seating and a full sauce bar with everything from homemade salsas to pickled onions and sauerkraut. I ordered the Plantain Crispy Crunches (amazing!) and the Taco Love Trio. I highly recommend the rajas poblanas and the aqua frescas. Kitchen Table — Located on the jungle side of Tulum, this restaurant was highly recommend from all the staff at Amansala. Laurel and I went for a late dinner one evening and it was so packed we almost didn’t get a table. Luckily they offered us a drink at the bar while we waited. The restaurant is nestled into the jungle setting with an open kitchen and wooden grill. Everything was delicious, but I highly recommend the deviled avocado and veggie quesadilla. Cenzontle — Another spot highly recommended by locals. We loved the sophisticated causal, secret garden feel and really enjoyed our dinner. Highlights include the piquillo peppers (hello… avocado mousse and chipotle perfume) and the catch of the day. 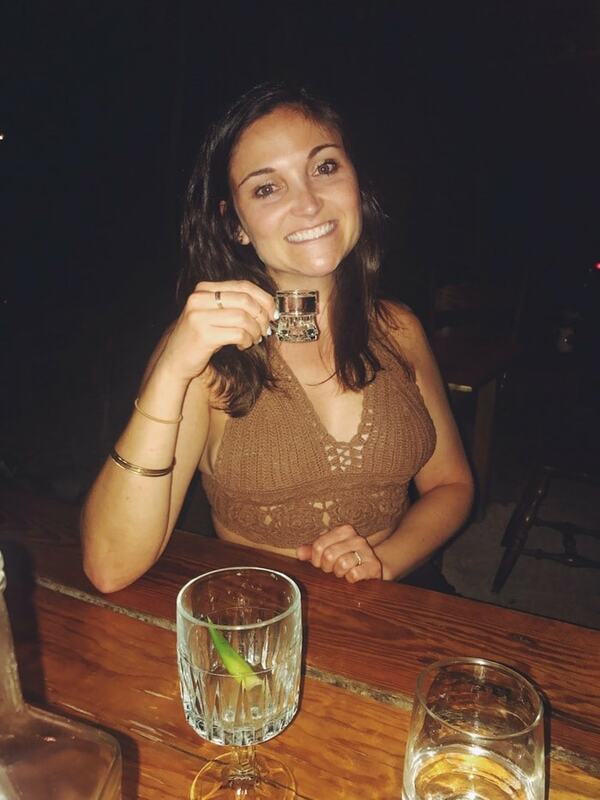 In the photo above I’m sipping a complimentary shot of mezcal they brought to us after our meal. Cantopia — This cute restaurant is connected with Yoga Shala, the hotel we stayed two nights at. Although we didn’t get a chance to enjoy the Thai food for dinner, we had breakfast there one morning and it was delicious. Highly recommend the Early Bird quinoa bowl, which inspired the cinnamon quinoa breakfast bowl I posted last week. Hartwood — By far the trendiest restaurant in Tulum right now featuring a daily menu based on what’s harvested from the land and sea that day. People start to line up around 3:00PM for a spot at the restaurant and the first seating is a 5:30PM. We didn’t have a day that we could wait in line (too busy doing yoga) so we just went for drinks one evening. The food being served to nearby tables looked and smelled amazing. 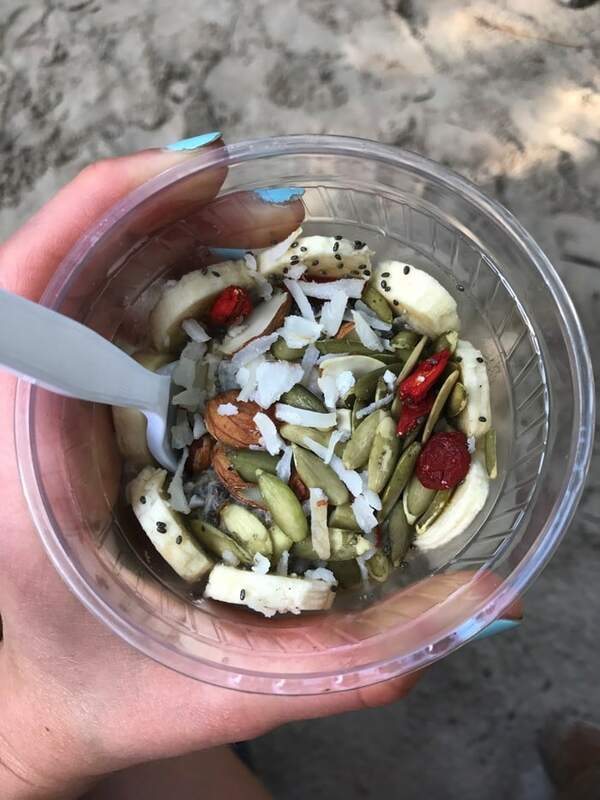 Raw Love — A great, casual spot for vegan and raw foods on the beach. Lots of fresh juices, shots, smoothie bowls, chia pudding and more. We went here at least three times during our stay. It’s hidden within the Ahau resort, but easy to find once you know where it is. 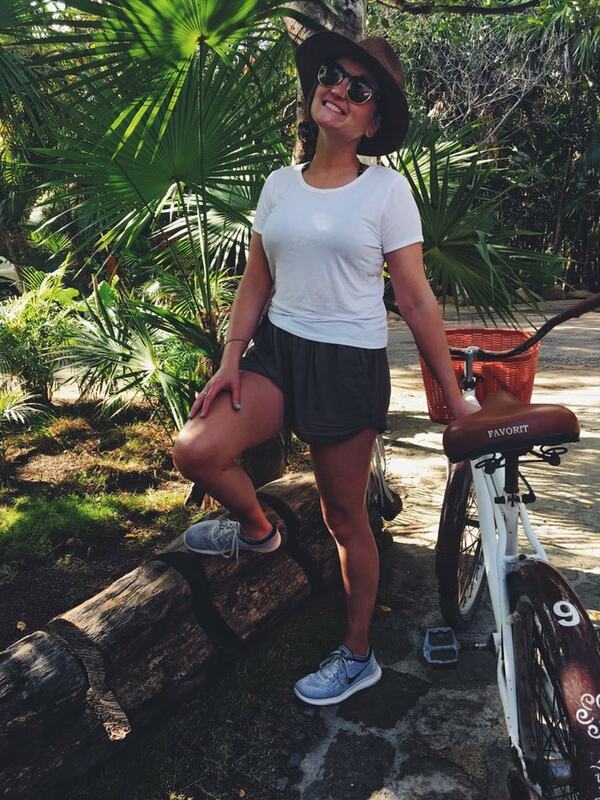 When you’re not relaxing on the beach, taking a yoga class or getting a massage, you’ll love biking around on a beach cruiser, exploring the ruins or snorkeling/diving in a cenote. As for night-life, there are plenty of bars to grab a drink and places to go out dancing (it seems like there’s one IT spot for each night of the week), but partying isn’t a huge focus for most people visiting. Bike around: Almost every resort rents beach cruisers and it’s the main form of transportation, besides walking, on the beach road. Yoga: Almost every resort offers yoga and most places have mats you can use so no need to bring your own unless you’d feel lost without it. 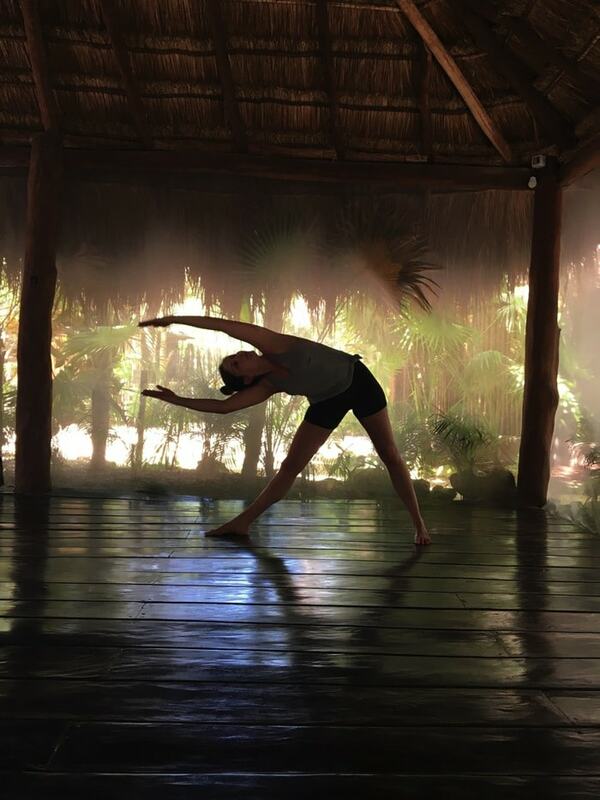 Massage or spa treatments: Get a massage from a Mayan healer. Most of the resorts have spas, but there’s also the Yaan Wellness Center, which is quite lovely. Temazcal (Mayan Sweat Lodge Ceremony): Laurel and I opted out of this, but lots of people on our yoga retreat did it as a group and raved about it. I’m still dealing with the FOMO. I linked to the Yaan Wellness Temazcal experience, but there are a few resorts that offer this. Ruinas Mayas de Tulum: A must-visit spot featuring Mayan ruins right along the coast. Absolutely stunning! Salsa Dancing at La Zebra Hotel on Sunday night. We stayed in town on Sunday night so we didn’t get to check this out. Papaya Playa ia a hopping beach club on Saturday nights. The party doesn’t get started until around 11 and we were too tried to make the trek, but I’m sure it’s a fun spot. 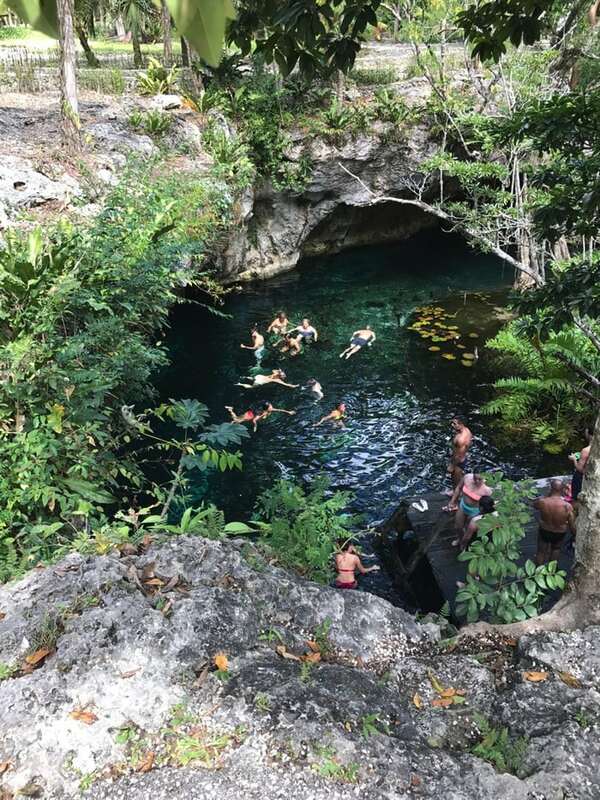 Grand Cenote: This spot was definitely a highlight of the trip for me. I didn’t see a ton of tropical crazy-colored fish as I have on past Caribbean snorkeling trips, but the cenote formations (similar to what you’d find in a cave) are really cool. 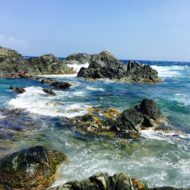 You won’t find any high-rise hotels and almost all of the resorts have a strong emphasis on being eco-friendly and sustainable — many running off of solar energy and wind turbines. Amansala — This is where the retreat took place so we spent most of our stay here. It’s a fitness focused resort and they host their own Bikini Bootcamp Retreats so it’s really geared towards women. The resort is located right on the beach with a small pool, hammocks and picturesque ropes. The rooms were comfortable and the food (which was provided with our retreat) was fresh and flavorful. The staff was also really friendly and accommodating, as well. This was our bedroom at Amansala. Yoga Shala — We stayed here two nights after our yoga retreat ended. The rooms are comfortable and safe and you can’t beat the price. We paid $99 a night for a room with two beds and a private bathroom, but there are cheaper options which just provide a room and use of a public bathroom and showers. There’s a lovely yoga shala right on the property with multiple yoga classes a day, bike rentals and the beach is right across the street. A couple notes: Yoga Shala doesn’t provide beach towels and while you’re able to use the beach area at Ahau Tulum across the street, we weren’t allowed on the sunbeds (even if we were buying food/drinks). We had to be seated at one of the tables next to the bar, which wasn’t ideal. 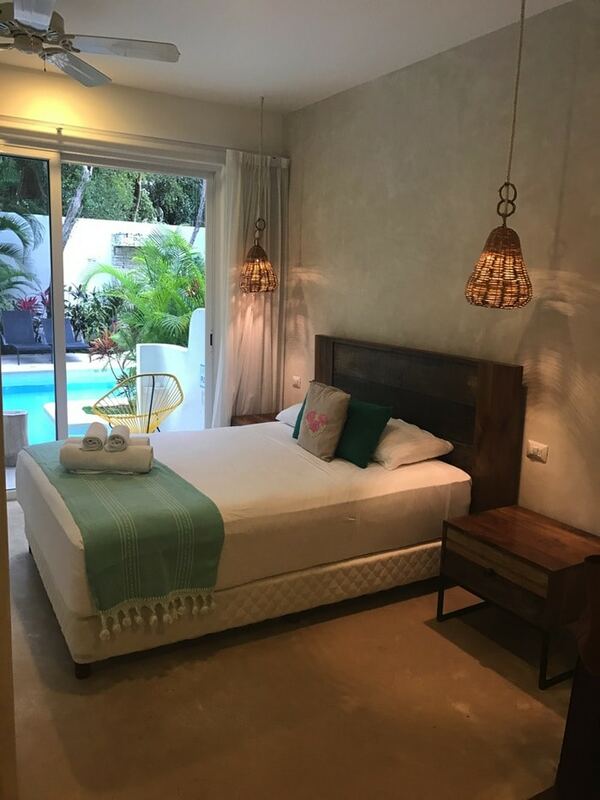 Live Tulum — Chic hotel in the heart of downtown Tulum. Close walking distance to the city center where you’ll find restaurants, bars and shops. Our room came with a full kitchen, two televisions, a queen bed and a sofa. They have a pretty large pool and our room had swim-up access, which was really neat although it rained almost the whole time we were there. The staff was extremely nice and really helpful. They gave lots of suggestions for places to check out and helped book our taxi back to the airport as well. It’s helpful to have to pesos! Many of the restaurants and shops are cash-only. Most accept both pesos and dollars, but it’s easier to pay with pesos because each establishment goes with a different exchange rate and it’s not usually as good as the exchange rate you’d get at the ATM or a bank. We found the ATM at the large grocery store near town to have the best exchange rate and it’s apparently safer than the ATMs on the beach road. Pack lots of sunscreen. This should go without saying but the sun is fierce in Mexico so you’ll need it! Pack bug spray. Many hotels and restaurants will have it, but it’s nice to have your own because there are mosquitos. Pack a reusable water bottle. You won’t be drinking the tap water, but most resorts have filtered water to refill your water bottle. You can use this for drinking and brushing your teeth. We ate and drank at a variety of restaurants — even tacos from a late-night food truck in the city and no one in my group got sick. The ocean water was plenty warm to swim, but the waves were kind of rough and some areas of the beach have a lot of seaweed. We took a long walk on the beach one day and noticed that there seemed to be less as we walked further, but the beach at Amansala had quite a bit. It wasn’t too bothersome and definitely didn’t keep us from getting in the water or enjoying the beach. 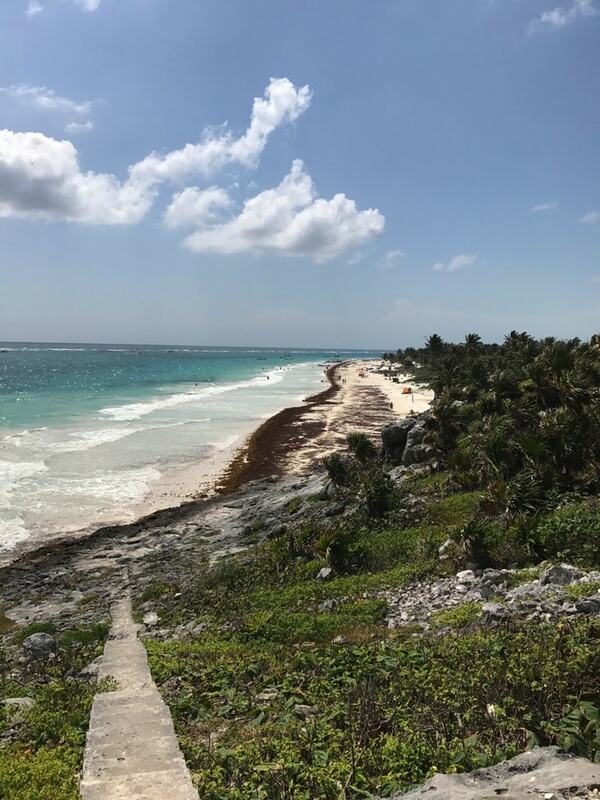 Check out this site for the best months to visit Tulum including monthly average temps and precipitation. Hire a shuttle ($200 USD each way) — Book through Discovery Mundo — this a great option if you have a group because you can fit up to 7 or 8 people and spilt the cost. Take the ADO bus (around $8 USD each way) — This is by-far the cheapest option, but we decided to go the shuttle and taxi route for convenience purposes. Heading home after vacation feeling renewed and healthy is SUCH an amazing feeling and one that doesn’t happen often. Most of the time I come home feeling that I need another vacation or a detox, but I didn’t feel this way after coming home from Tulum! If you’re looking for a healthy (or healthy-ish) vacay, I can’t recommend Tulum enough. Feeling pretty darn jealous right now! What a beautiful trip and beautiful photos!! Great article, I recently just got back from tulum and it is n amazing place!we took a shuttle from Cancun at $170 sound trip with USA transfers, great service! Love <3 This is pretty much at the top of places I have always wanted to visit, and you have just encouraged me more to take a trip there! Thank you for all the wonderful tips! Wow… thanks for your guide and tips. I hope I can go there too. Wow, these are great tips! 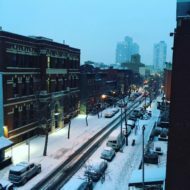 Irregardless of traveling or, these are great tips even for when you are in your city and find great photos for a photoshoot. This is a great post! !